The beach gets busy during weekends and public and school holidays but if you go at other times you might get it to yourself. All that's lacking at this beach is a beach! What happened to the sand? 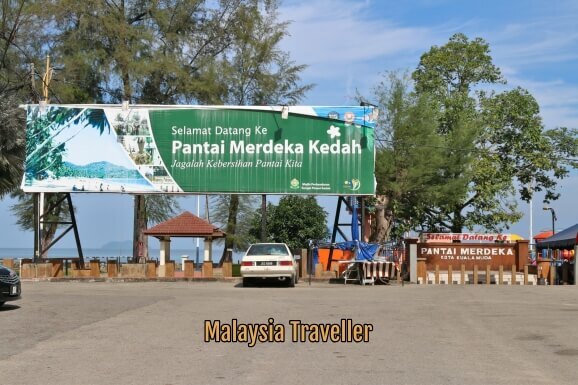 Pantai Merdeka has a beautiful setting but when I visited the sandy beach was reduced to just a narrow strip. Maybe it was just high tide and hopefully not caused by coastal erosion. There was a wider sandy area at the far end. The water quality was not bad - super calm but a bit cloudy and the ocean floor was slightly slimy underfoot. 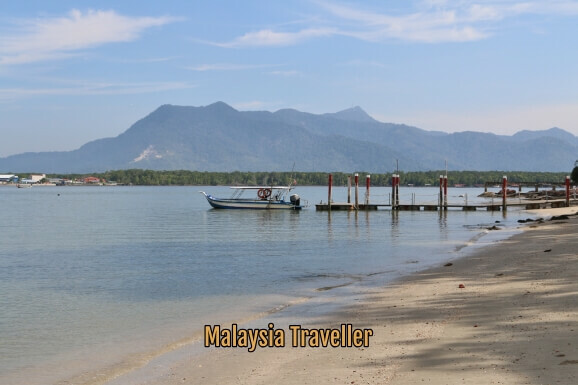 The boat can ferry you across to Tanjung Dawai, shown on the left, or take you island hopping. 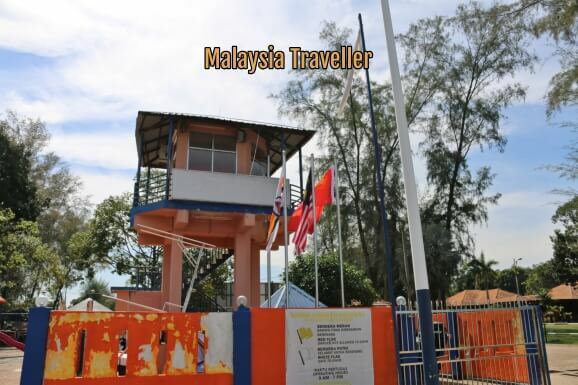 There is a jetty at the beach from where boats trips are available. 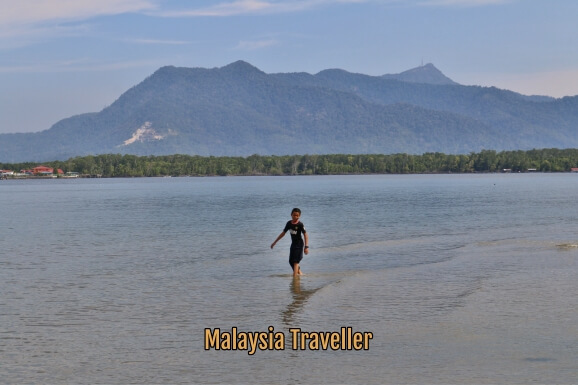 Per person one-way to Tanjung Dawai (the village on the other side of the estuary) RM 3 (boat carries 10 passengers). 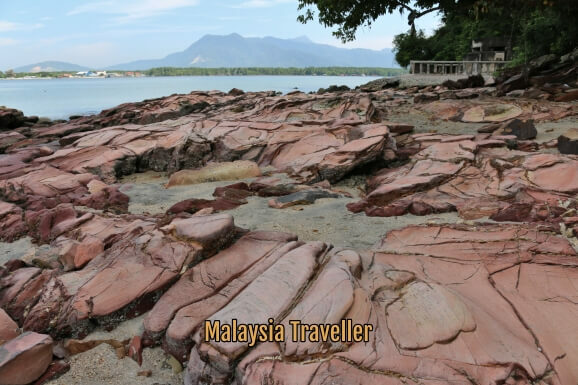 At one end of the beach, at the foot of a hill called Bukit Penjara, is an unusual rock formation coloured red due to its iron oxide content. Fossils have been found in these rocks which date back 450 million years. 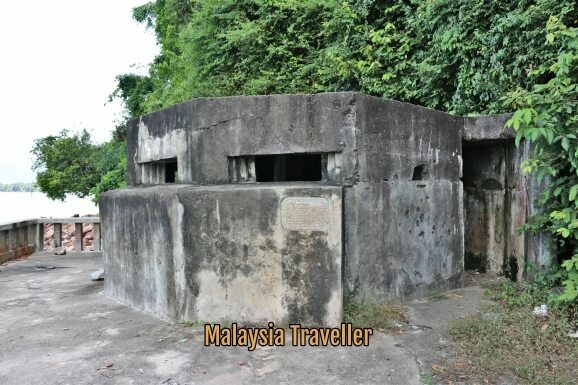 Next to the red mudstone stands a concrete pillbox said to have been built by the British in 1940 to defend this coastline from Japanese landings. The information plaque on the outside was too worn for me to read but the pillbox looks in good condition so it may not have seen action. Inside it is dark and full of rubbish. Parking: There is a large car park with free parking. 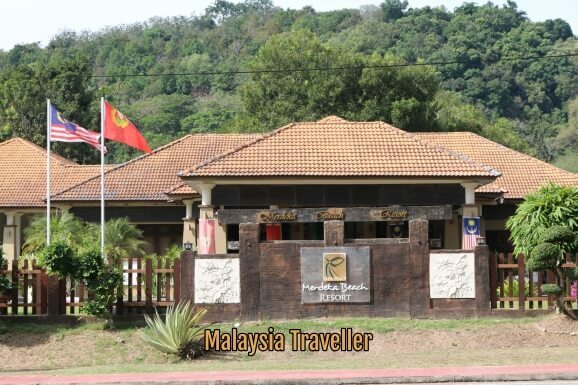 The Merdeka Beach Resort sits on the beach front and there are chalet/homestay accommodations available in the area. 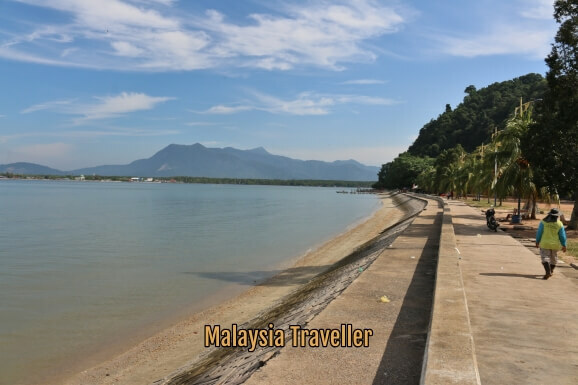 The beach is part of the so-called Jerai Geopark, a 816 sq. 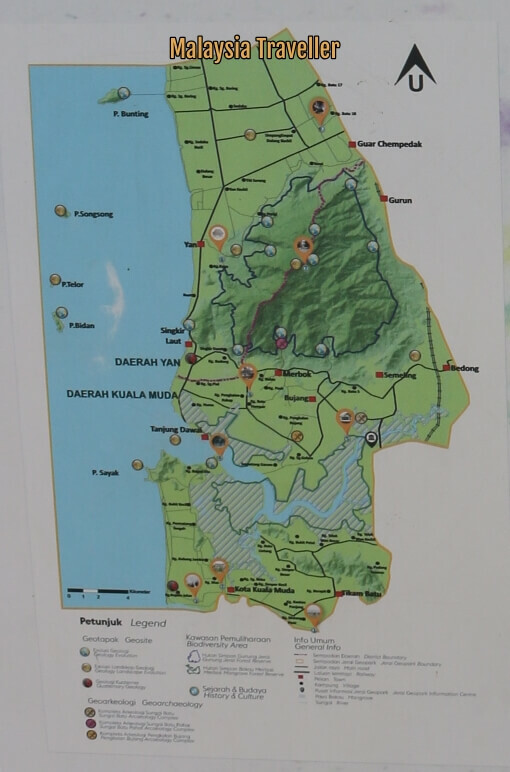 km area comprising Kuala Muda and Yan districts, 5 islands (Bunting, Songsong, Telor, Bidan and Sayak), 24 geosites of local and national value, 9 historical and cultural sites, Gunung Jerai and Merbok Mangrove Reserve Forest.